Ford has already confirmed plans to introduce a Mustang Hybrid, but it hasn’t provided any clues to what will power it. Now we may have a clue thanks to a new patent application that Ford filed with the United States Patent and Trademark Office. AutoGuide discovered the patent application that dates back to July 2017, but for some reason it was only published this week. 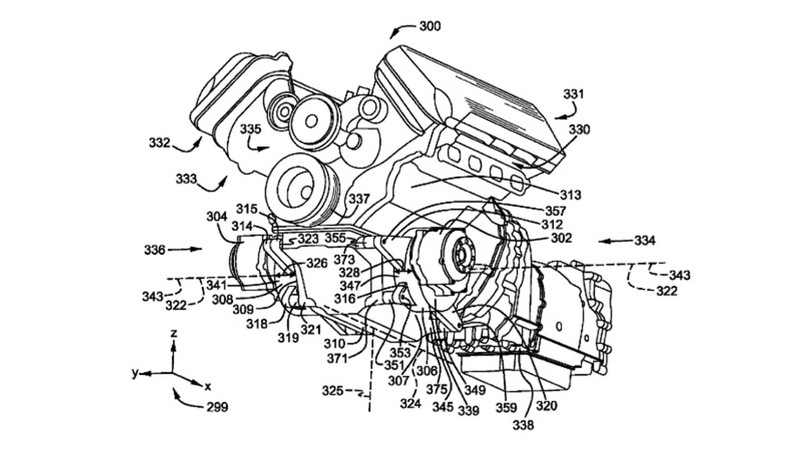 The patent application describes a “twin motor drive system for hybrid vehicle,” which features a longitudinally mounted engine that powers the rear wheels. The powertrain also features two electric motors that powers the front wheels. The sketch with the patent shows a V8 engine with the hybrid components, which hints that if this hybrid system will be used by the Mustang Hybrid, it could use a V8. With two electric motors powering the front wheels, the Mustang Hybrid would also feature all-wheel drive.